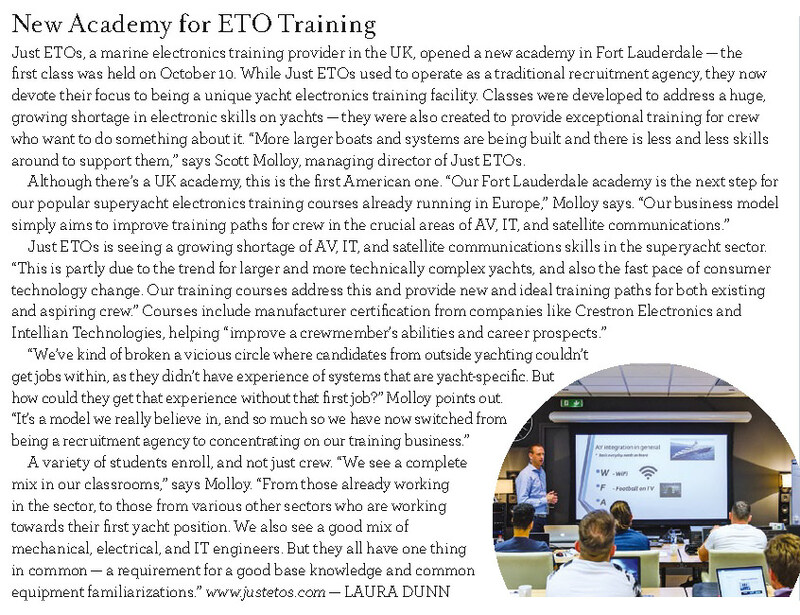 Dockwalk magazine recently reported on our new USA training academy in Fort Lauderdale. Want to have more confidence in supporting the most common yacht AV systems? Our Yacht Entertainment Systems training will be returning to Fort Lauderdale USA in a few weeks’ time. Join us on March 4th to 8th.